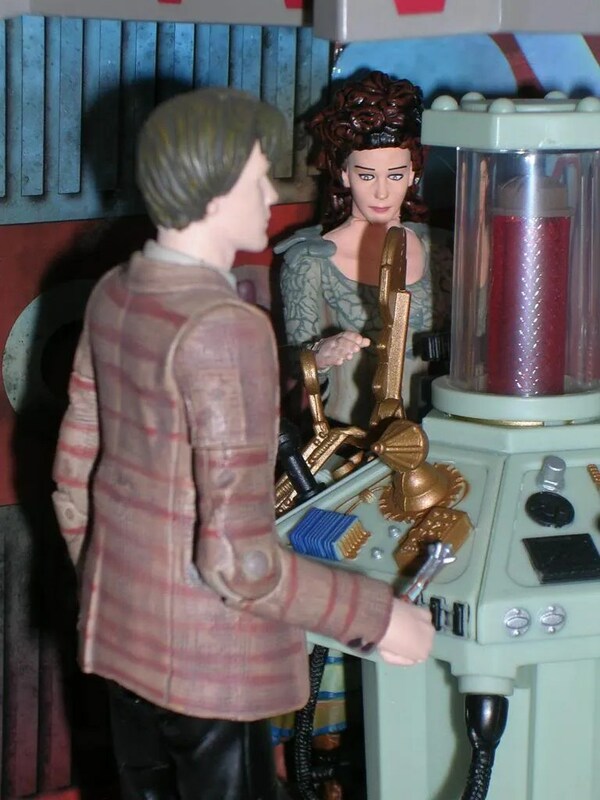 Last time we looked at Uncle, one of CO’s newest Doctor Who figures and from one of my personal favorite Series 6 episodes,“The Doctor’s Wife” and this time we’re checking out what is probably one of the most anticipated figures from this assortment: Idris. We don’t know a lot about who Idris was before the malevolent entity, House, decided to empty the consciousness of the TARDIS into her body, but once that deed was done, she became the TARDIS personified, which opened up one of the coolest dynamics Doctor Who has seen in possibly forever. The Doctor was finally able to converse with his oldest of companions: His stolen timeship itself. Idris comes in the same package we saw with Uncle. Again, I really dig the design. It’s functional, easy to get into, and still looks pretty good. Also like Uncle, Idris’ package makes a big fuss about the fact that it comes with all the extra “Flesh” crap. 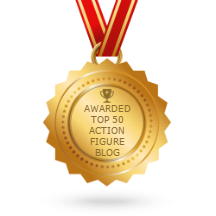 The back panel shows off the rest of the figures in this assortment. As with Uncle, Idris’ sculpt is pretty solid, although I don’t think the likeness is really spot on. Character Options has gone on record saying that they haven’t mixed things up with their sculptors, but I can’t help but think the likenesses were just a bit better a few years back. 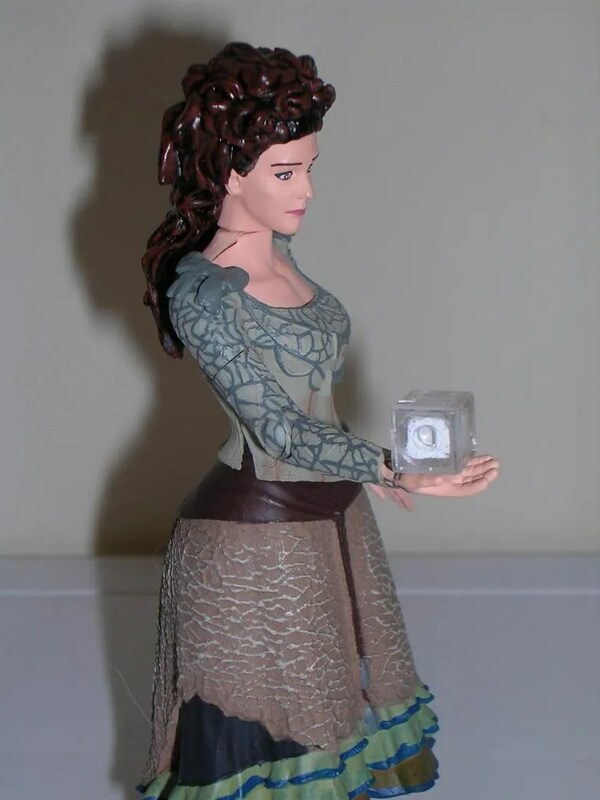 Unlike River Song, the strongest point of Idris’ likeness is actually her hair. The face isn’t bad, just not the epitome of actress Suranne Jones, and there’s a bit of ugly seaming around her neck. 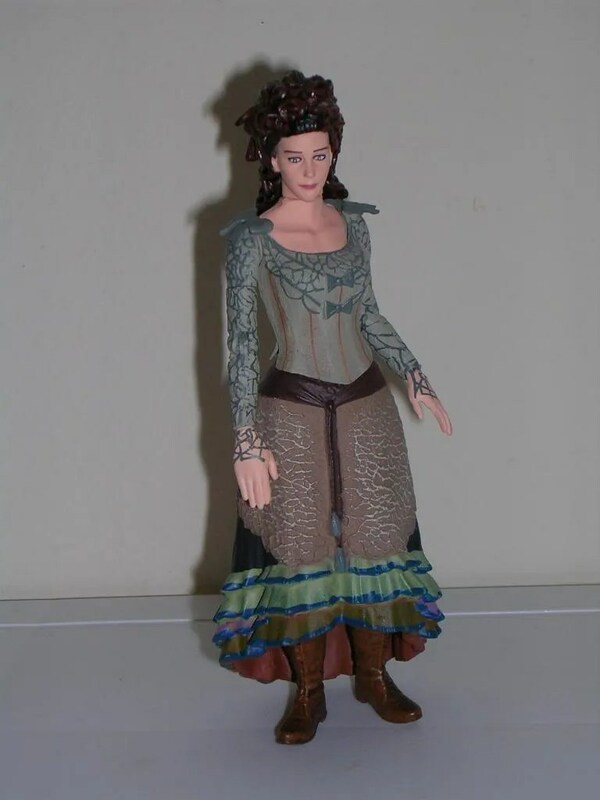 The rest of the figure is pretty standard, with the dress bearing a good resemblance to the character’s onscreen attire. 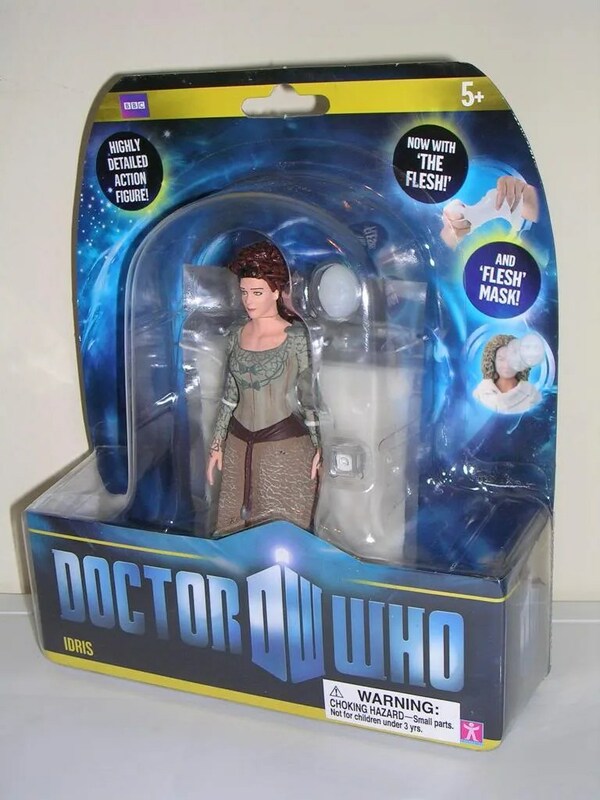 Not the most exciting looking figure around, but then she’s the TARDIS… and a woman. She’s a woman and she’s the TARDIS. Once again, the articulation seems to have taken a step back in the shoulders, as Idris has no ball joints in her arms. We’re back to last year’s style of articulation, which honestly in a figure like Idris doesn’t bother me too much. It’s not like I need her to be an action hero. Of course, the sculpted dress does inhibit whatever leg articulation she has. You can get a little bit of repositioning out of her legs, and it’s a bit tough to get her to stand up properly without falling over backwards. Once nice surprise, is that she can swivel at the waist. I won’t bother talking about the “Flesh” stuff again. 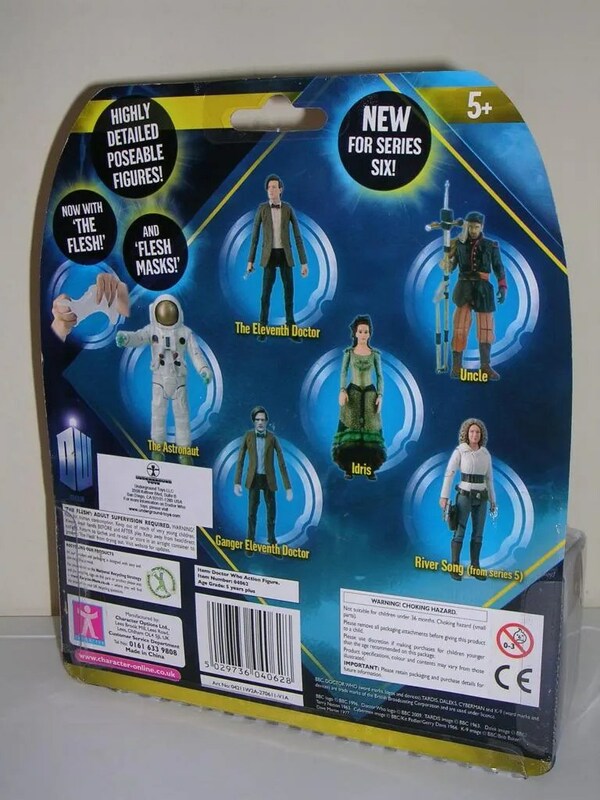 If you like bags of “Goo” you get another one with Idris as well as another pointless “Flesh Mask.” Apart from those treats, we do get one tiny little accessory with Idris that is really cool: A Time Lord Psychic Container. Yeah, it’s just a tiny cube with what looks like Elmer’s Glue squirted in it, but it’s still a much welcomed addition when compared to all the “Flesh” crap. Just like Uncle, Idris set me back $15 plus shipping. Yep, it’s a little steep, but again, this is an import, so I’m not going to complain. Idris is one of those characters in Series 6 that I absolutely wanted to get in figure form, so I’m very glad CO gave her the plastic treatment. 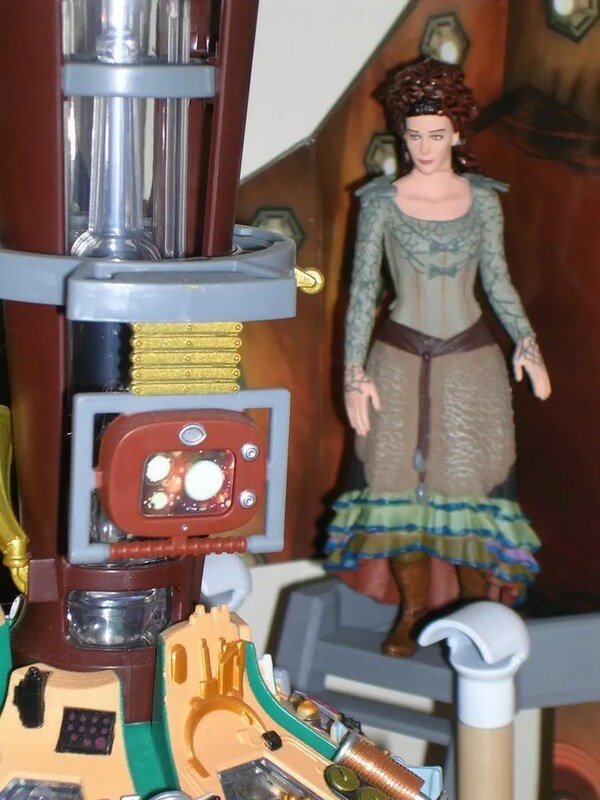 I still think they should have just included her with the Junk TARDIS Playset, but either way at least I have her in my collection. Besides, which, in the world of Doctor Who, anything is possible. Maybe we’ll see Idris again.